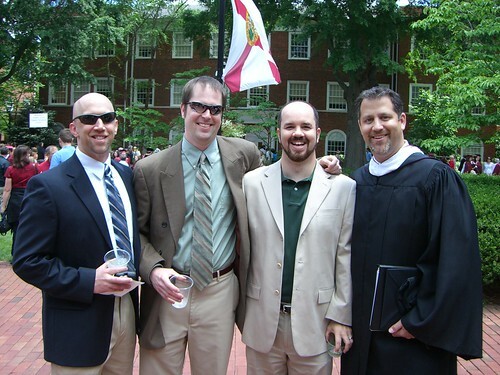 Yesterday I attended Elon’s graduation to see my college roommate Doug Finberg deliver the commencement speech. Here are a few highlights from the day. If you want to hear Doug’s introduction and speech, here you go. 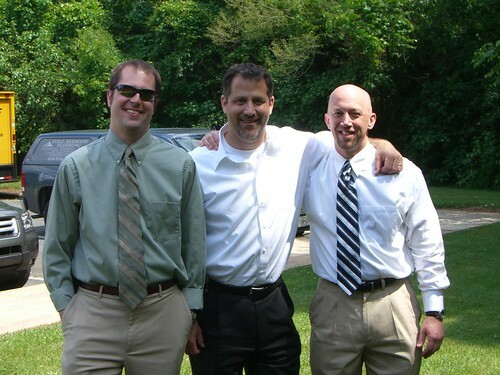 Pictured are roommate Brad Phillips, me, fraternal big brother Lee Thomas, and roommate Doug Finberg. 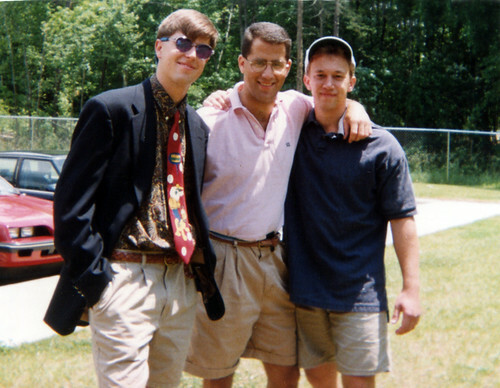 The three college roommates circa 1993. Same location, same people, just 15 years later.